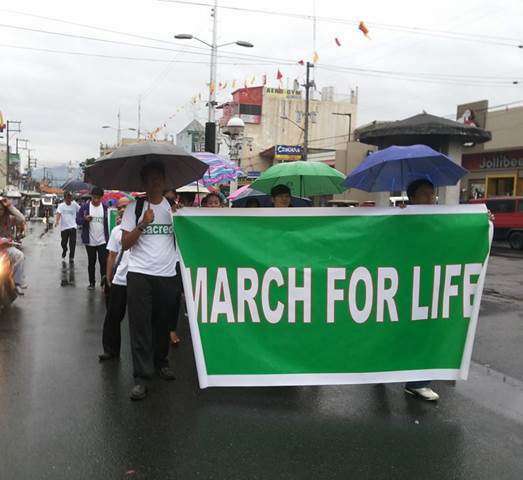 The Most Reverend ‎Paul Villavicencio, the Bishop located in San Pablo City, recently held a March for Life in that city. Brave members of the Cathedral march in the rain, to show solidarity with Christians around the world, who speak for the voiceless, fight for the defenseless, and pray for those whom no one else prays for. You can see more details on Bishop Villavicencio Facebook page.